Medical marijuana resource United Patients Group lists prominent figures who have changed their stances on the cannabis plant. In the wake of Attorney General Eric Holder’s recent announcement that the federal government will not challenge the marijuana legalization initiatives of Washington and Colorado, resource United Patients Group gathers a list of other prominent figures who have shown surprising support for marijuana recently. CNN’s Chief Medical Correspondent Dr. Sanjay Gupta recently released a documentary called “Weed,” in which he interviews medical leaders, experts, growers and patients around the world, and ultimately finds enough reason to change his stance on marijuana’s medical benefits. He subsequently penned an op-ed outlining his reasons and issuing a sincere apology for his past misrepresentation of the subject to the American public. 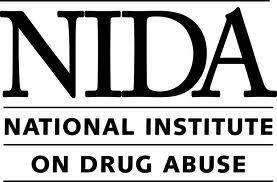 "I mistakenly believed the Drug Enforcement Agency listed marijuana as a schedule 1 substance [a category of dangerous drugs] because of sound scientific proof. They didn't have the science to support that claim, and I now know that when it comes to marijuana neither of those things are true." Call it a mitzvah. Rabbi Jeffrey Kahn says, "The cannabis plant was created by God on the second day of creation when God created all the other plants, and touching this one isn't forbidden." He and his wife have opened a dispensary on the outskirts of Washington D.C. The notoriously staunch critic of marijuana and main barrier to widely researching the benefits of the plant’s compounds (rather than harmful effects) issued a press release highlighting the organization’s new commitment to funding and conducting research on the medicinal properties of the cannabis plant. For the first time ever, the majority of California residents favor the legalization of marijuana. A nonpartisan Public Policy Institute of California poll found 52 percent of adults favor legalization, which is up from 45 percent from the last time the question was asked in 2010. As these little ripples make their way into new policies and garner more support across the board, United Patients Group remains committed to keeping current to the changing landscape. 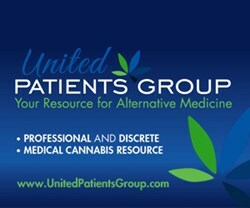 Visit http://www.UnitedPatientsGroup.com/blog for updates.